When you begin a research project, it is often helpful to have an overview of the topic to familiarize yourself with the issues and taxonomy of the area. The following sources provide useful background when researching employee benefits issues. Links to both the print and electronic editions have been included whenever possible. Provides detailed analysis of relevant statutes, regulations, case law, and opinion letters. Topics include ERISA reporting and disclosure, qualified employee pension plans, ERISA administration and enforcement, COBRA, cafeteria plans, and fiduciary responsibility. Available on Lexis. 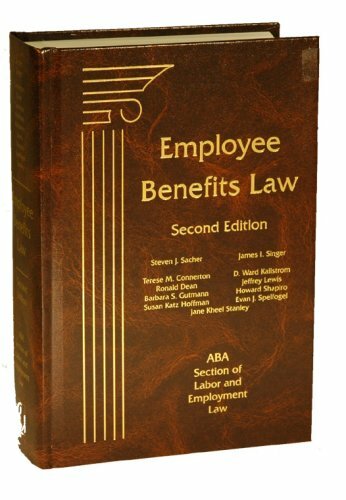 Provides a brief history of the Employee Retirement Income Security Act; includes chapters on ERISA's effect on other laws, as well as fiduciary responsibility, employment discrimination and employee benefits, and criminal investigation and civil RICO. Print updating was canceled in 2012. Electronic access to the current edition of this resource is available through Bloomberg Law. Overview of ERISA's scope and policies; analyzes case law focused on ERISA's principle features, including labor and tax law issues. Part of West's American Casebook Series; chapters on qualified retirement plans, welfare benefit plans, fiduciary duties and prohibited transactions, civil enforcement actions and preemption of state law.